With the benefit of home track advantage, Jemily looks set to continue her great run of success in the feature event on Master Builders Association Oxley Raceday at Port Macquarie this Friday. The Ready’s Image mare was responsible for a narrow victory in a Benchmark 69 race at Taree in April and was not disgraced in an open class handicap at Port behind Tears in Heaven some three weeks prior. The mare has a wonderful strike rate at the track with three wins and four minor placings and will break the $100,000 prizemoney barrier by finishing first or second in the Stowe Australia sponsored event. The horse's name comes from a female with an amazing and kind personality, who will brighten up the day of all around her and never provide any regrets, with many punters hoping this description is applicable when placing investments. Popular local trainer, Glen Hodge puts the polish on Jemily and it is significant to note that he has engaged the services of Ben Looker, who is riding with great confidence and in career best form. Dangers in the event point to the Ross Stitt-trained mare, Desirable Miss and Jexerlent from the Wyong stable of Brian Garvey, while Valbeata is down in class and should be competitive with the aid of Olivia Pickering’s allowance. Desirable Miss is debuting at Port and the daughter of Snippetson looks well placed with Robbie Dolan’s apprentice claim following a strong win at Coffs Harbour in March and a placing on heavy ground at Taree a fortnight ago..
Jexerlent is resuming from a spell since accounting for About Time at Tamworth in February but will benefit greatly from a recent Wyong barrier trial second when beaten a long neck by Rugenbrau. Apart from the appointment with Jemily, followers of Ben Looker look to be set for a strong day with the highly accredited hoop landing many prominent rides throughout the afternoon. Jenny Graham continues the partnership with Looker by the engagements on Dark Secret in the second event and Lope De Lope in race six. Dark Secret is a new acquisition for the Graham establishment and will provide plenty of interest following a solid performance in a local barrier trial last month following some disappointing performances around the provincial circuit prior to entering the stable. Lope De Lope has been transferred from the Ron Quinton yard and has sound placings at Gosford and Kembla in preparation for the Friday’s class two event. 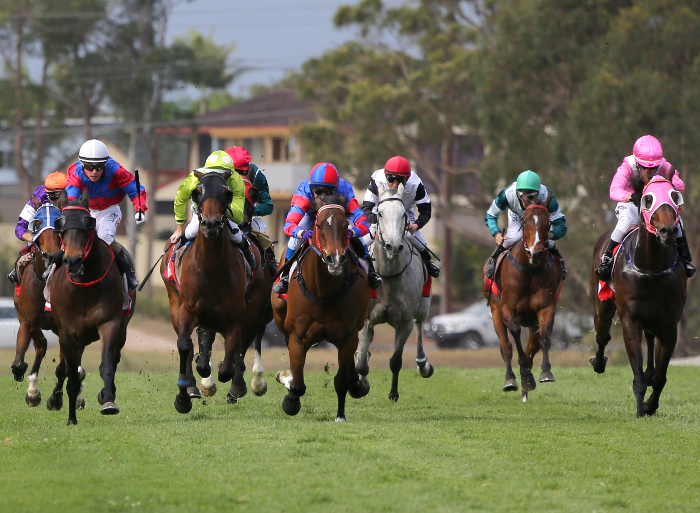 Leading Port Macquarie trainer, Neil Godbolt, looks to have a strong hand on the program with Outsmartem providing the testing material in the second event following a comprehensive victory at Taree and Star of Theharbour set to continue his successful campaign in the two-year-old. Interesting runners in the juvenile are two horses having their debut runs, Saganaki from the Kris Lees complex and Defeat under the guidance of Tracey Bartley. The I am Invincible gelding, Defeat, presents for the race with a barrier trial success at Wyong recently and the Bartley stable is on fire following an outstanding Scone campaign last weekend. Despite the 59-kilogram impost, Invincible Tammy looks well placed for Grafton trainer, John Shelton in the opening event following success at the filly’s home track recently while Dad’s Army, Mokin and I’ll Take Money have been racing consistently in preparation for a strong performance later in the program. Tilbury Lodge deserves to break through in the final race following solid placings at Taree in his last two appearances with the Grafton Cup winning combination of promising trainer, Sally Taylor and Peter Graham striving for success. With the prospect of fine weather conditions and a good racing surface, Master Builders Association Oxley Raceday shapes up to be an outstanding fixture with the club acknowledging the continued support of associate race day sponsors, Kennards Hire, Petries Mitre 10, JBL Glass, Hanson, Sovereign Hills, Stowe Australia and Better Solar Energy.